TUCSON, Ariz. (CNS) — A historic Arizona chapel built by artist Ted DeGrazia was heavily damaged in a fire May 29. The blaze destroyed much of chapel’s roof and several murals by the late artist. A statement from DeGrazia’s Gallery in the Sun posted on its Facebook page May 30 said there was no information on the cause of the fire, which was under investigation. Sitting adjacent to the gallery, the tiny adobe Mission in the Sun is frequented by visitors each day. Some leave religious and personal mementos and written prayers on its adobe bricks. DeGrazia built the chapel in 1952 in honor of Southwest missionary Jesuit Father Eusebio Kino and dedicated it to Our Lady of Guadalupe, two inspirations for the artist. 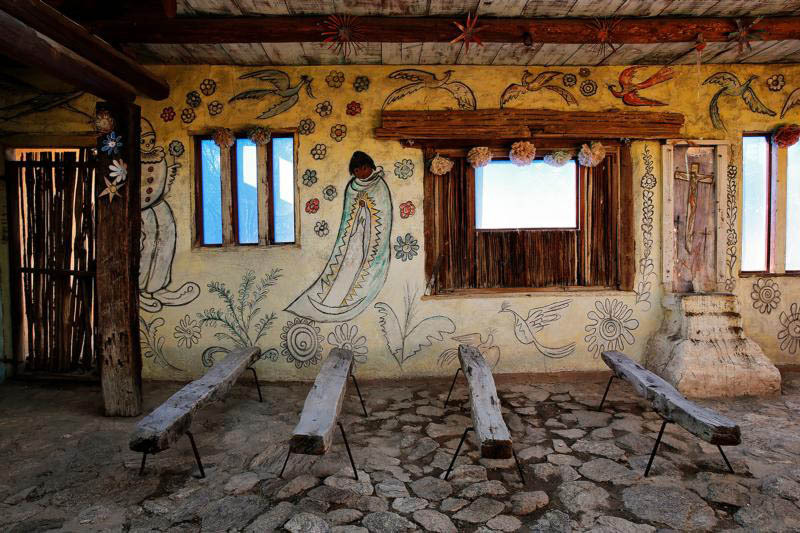 It is part of the gallery and other DeGrazia buildings preserved by the artist’s foundation.